We caught up with Bulgarian beauty and reigning Top Model of the World Margo Cooper in Puerto Princesa to talk about having the world as her backdrop. 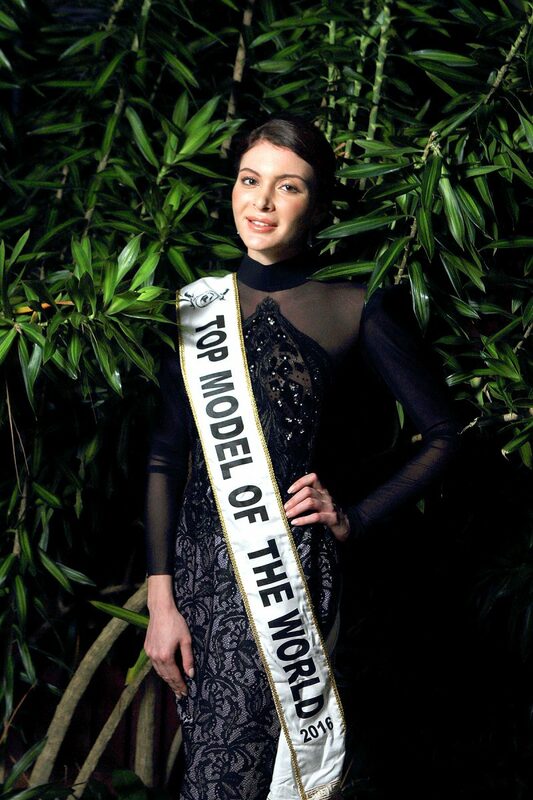 Bulgarian beauty and reigning Top Model of the World Margo Cooper recently visited the Philippines for a series of activities as part of her international model duties. We caught up with the 23-year old journalism graduate in Puerto Princesa to talk about having the world as her backdrop and the one place she hopes to visit with a special someone. I stay on the plane most of the time. I travel a lot. I just came back from India and before that I was in Dubai and Istanbul. I’m not based anywhere now because of work and I’m very happy. What’s your favorite out of all the countries you’ve visited? I must really say the Philippines. Actually, I didn’t travel to anywhere new for a long time and I just went to the same destinations. But for sure out of the new places I’ve visited, the Philippines is my favorite and I cannot wait to come back and see more of it. I want to go and discover the different islands. Top Model of the World 2016 Margo Cooper wearing a gown by Albert Andrada. (Hair and make-up by Archie Vergara. Photo by Jovel Lorenzo). Have you had the chance to eat Filipino food? I tried a meat dish with sauce but I don’t remember the name. What I love the most about Filipino food is that you can eat meat for breakfast. That’s perfect. Where are you headed next after the Philippines? I’m going to Moscow just for 5 days then I’m going skiing in France. After that, I’m going to London for 2 weeks. Are you more of a city person or a beach person? I’m a Gemini so when I have a choice, I cannot give an exact answer but when I’m in the city, I want to be at the beach and when I’m at the beach, I miss the city. I like cities that have everything like Dubai where I used to live. Maldives. I think people go there when they get married.. so hopefully! Shot on location at Daluyon Beach and Mountain Resort. For more information, check out http://www.daluyonbeachandmountainresort.com. This story appeared in Going Places’ April 2017 issue.